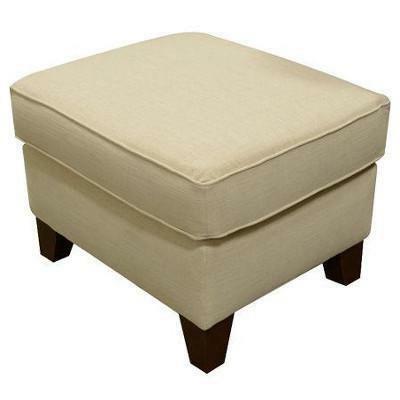 The Easton Ottoman from England is both fresh and fashionable. It features a comfort seat cushion, tapered dark wood legs and a fabric cover. Seat Cushion is block foam with polyester fiber wrap. Additional Information Wood legs are 2 in x 3 in x 5 in Tapered screw-in with dark brown finish. 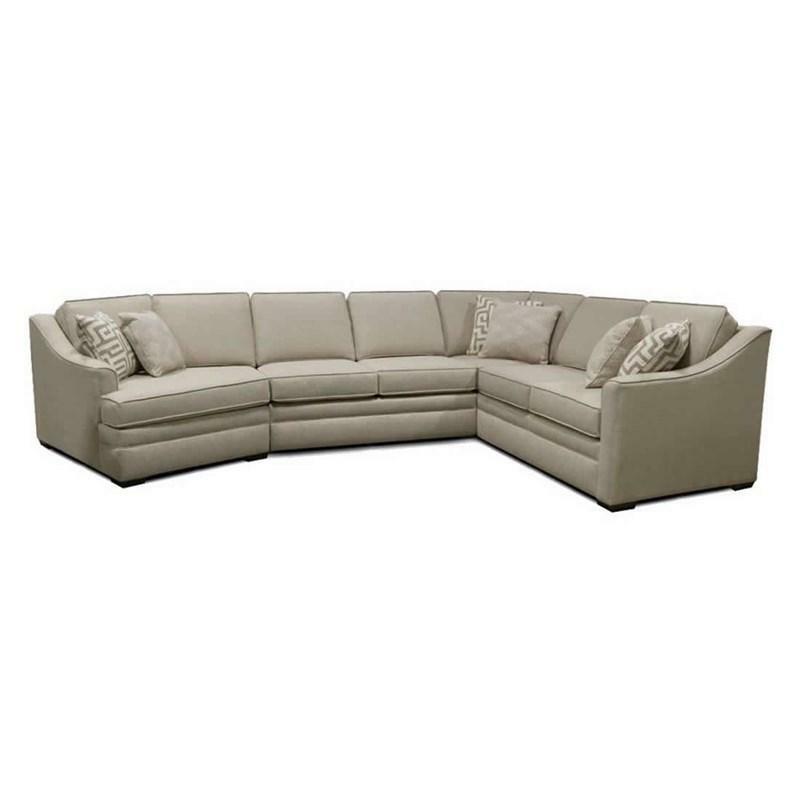 Warranty 1 year of warranty for upholstery fabric, leather and lift mechanism; 5 years of warranty for springs, legs, casters, glider mechanisms, reclining mechanisms, sleeper mechanisms and sleeper mattresses; 10 years of warranty for foam cushions.